SysInfoTools PST Recovery software is an amazing Outlook data recovery solution for MS Outlook users. It can repair PST file which is corrupt due to various reasons, and restore Outlook mailbox into a new PST file. It can restore almost each and every singe mailbox item without causing any changes or alteration. It support both ANSI and Unicode PST files created by any Outlook version. Any technical or novice user can use this software with ease. Download free demo version first. Key features of SysInfoTools PST Recovery software are: * Support recovery of Non-English and right-to-left characters; * Support PST files of large size, up to 80 GB PST has been successfully tested; * Support recovery of normal attachments as well embedded attachments; * Support all Outlook email items like email, task, calendar, contacts, distribution group etc. ; * Three recovery modes: Standard, Advanced and Deep, for recovering maximum possible data; * Maintain folder hierarchy during export process; * Support Outlook encryption to recover accurate data; * Provide fastest scanning speed than any other recovery software; * Save recovered data in five different formats: PST, DBX, EML, MSG and MBOX; * Snapshot feature to eliminate re-scanning time of PST file; * Search feature for locating any particular email messages from the selected PST file * Recover all your crucial emails Meta-data from corrupt PST file. * Compatible with Windows 10, 8, 7, Vista, 2003, XP and 2000. Changes: * The updated version of PST Recovery software has highly interactive and easy user-interface; * All the minor bugs have been successfully fixed in the updated version. 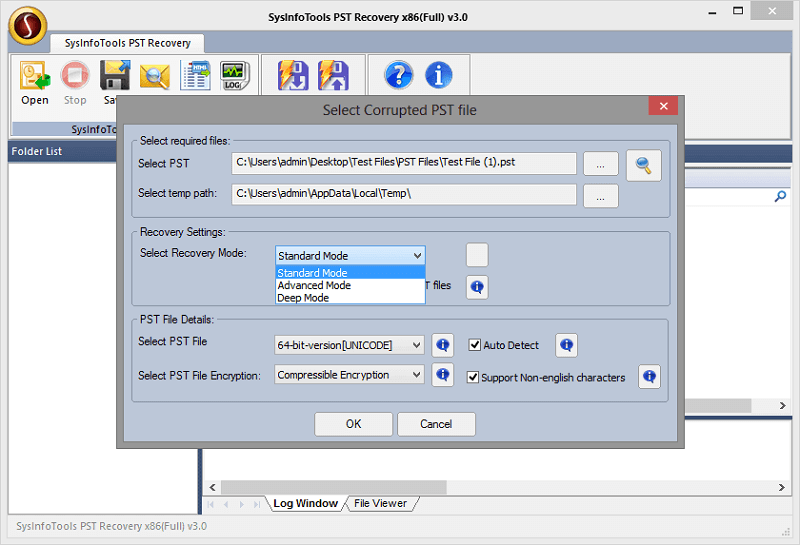 Press release: SysInfoTools PST Recovery v7.0 is the updated version available in the market for instant purchase. The updated version of SysInfoTools PST Recovery is now available in the market. Place your order for the licensed version to enjoy full access. Via this software, you can repair PST file and restore Outlook mailbox without causing any alteration. The trial version of SysInfoTools PST Recovery software can be freely distributed over the Internet in an uncharged and unchanged form. SysInfoTools PST Recovery Copyright by SysInfoTools Data Recovery. Your Agreement to this License You should carefully read the following terms and conditions before using, installing or distributing this software, unless you have a different license agreement signed by SysInfoTools Data Recovery. If you do not agree to all of the terms and conditions of this License, then: do not copy, install, distribute or use any copy of SysInfoTools PST Recovery with which this License is included, you may return the complete package unused without requesting an activation key, within 30 days after purchase, for a full refund of your payment.